Taking cold baths and showers at outdoor with a whole family is always a most fun-making experience! It is also a way to say goodbye to skin burning summer sunshine, so if you want to withstand the hot summer days then having a pool at your outdoor is must and would create bundles of excitements for your whole family! 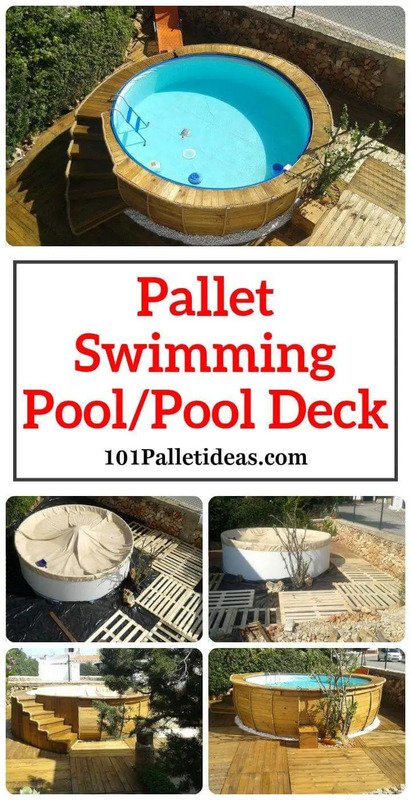 Check out here this custom DIY outdoor Pallet swimming pool project and that would also make your outdoor look fascinating along with a fun boost! It would also be an all budget-friendly project as these are only the free pallet boards you will be all needed in abundance here! 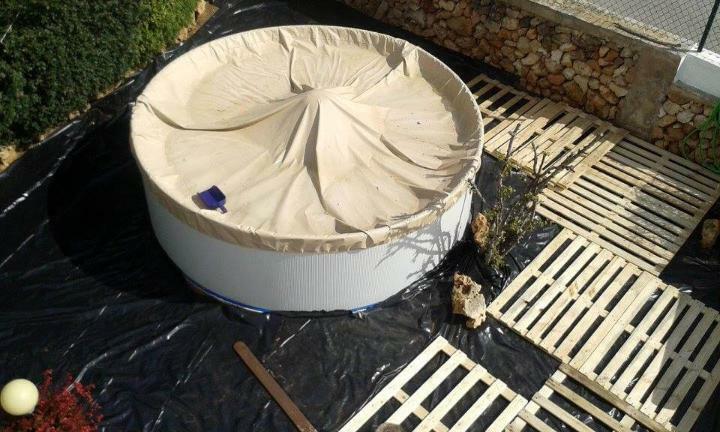 Just install your primary market-bought pool setup first and then install the charming wooden stains, floor, and decorative boundary all around the swimming pool with pallets! Also add the nautical rope all across the borders of the pool and stairs to raise the aesthetic value of the pool to peak! 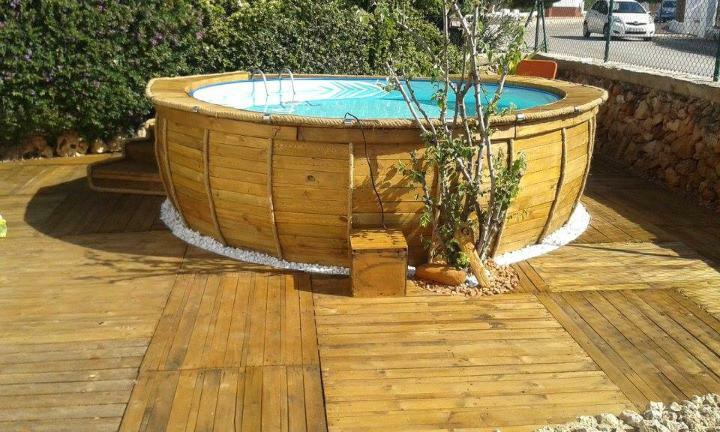 The would just be the finest ever and DIY project you can do for an lasting longer outdoor pool! 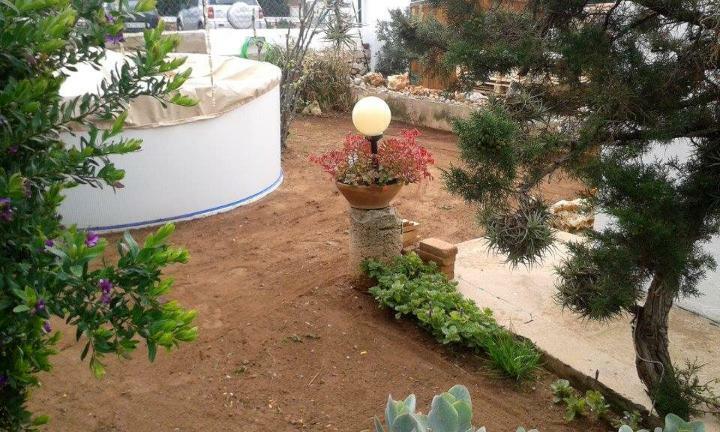 First of all get your market-bought swimming pool apparatus and be your own pool setter, choose the outdoor place for pool installation that is having best suiting weather conditions! 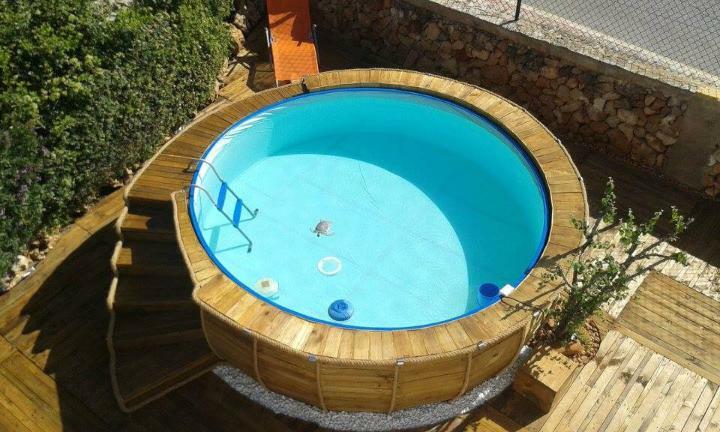 Install the pool and just make that it is totally water proof from all sides! Make sure that plastic fabric cloth is covering all the tiny sides of pool precisely and do level up the ground surface for nice and balanced deck flooring! Clean the surroundings of pool and spread a plastic fabric over ground surface all around the pool, for wooden floor or deck installation! 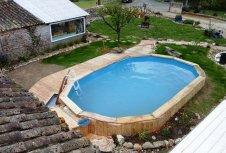 Floor up the original rustic wooden skids first and just stack them to layers required for your pool deck height! 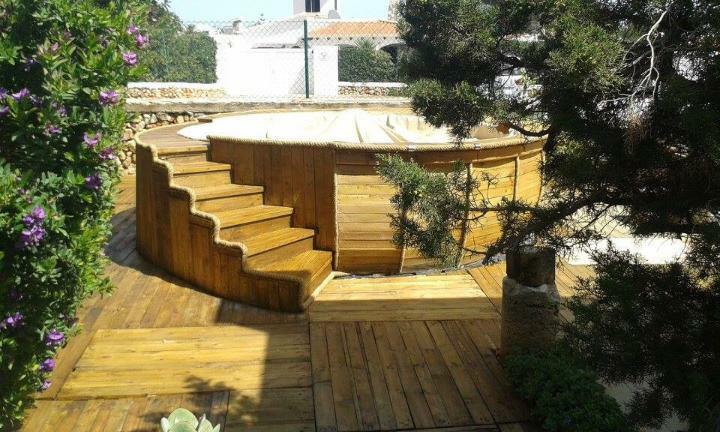 After you install the full pallet deck and charming wooden floors just go to dignify your pool with custom wooden pallet stairs and decorative wooden boundary all around! The finishing would demand for a big pile of separated pallet lengths so you can simply dismantle the pallet boards to do so! 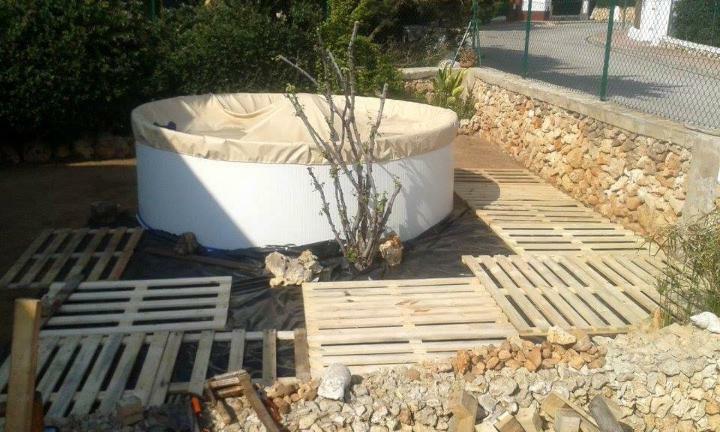 The round pool boundary has been made thicker and dignified through decorative filling of pallet slats! Here is also a creative use of nautical rope, that come along the round boundary as brilliant accent border and have been fixed well using metal holders! You can also install some custom wooden boxes for storage of poolside concerns and conveniences, and you can also use the leftover pallets to install some wooden boxes or chests! The custom pool deck is a project that can add a luxurious value to your home and it will all costs you very little as shipping skids are all free to grab and approach!